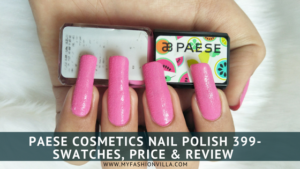 Paese Cosmetics is an Italian Brand recently launched in India. It has a really wide range of cosmetics and skin care products. Today, I am going to review one of its products, i.e. 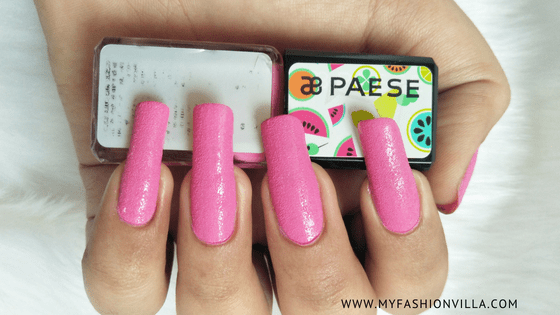 Paese Cosmetics Nail Polish in Shade 399. We all use nail paints to decorate, maintain and enhance the appearance of our nails. While going for manicures, we always want some really pretty nail color or nail art designs. After all, we love Nailing It, with our Gorgeous Nails! There are ladies who have a really huge collection of nail paints and they love collecting new shades and textured nail polishes. So, to complete your nail polish collection this monsoon, you would definitely want this shade of Paese Cosmetics Nail Polish 399. The Italian word “Paese” means “land”. As mentioned earlier, Paese Cosmetics is an Italian brand which has a standard quality product range of makeup and skin care. 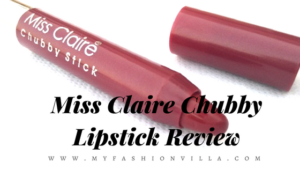 They are focused on providing value and best formulated products to the women out there. They believe in combining perfection with sophistication. Their designs are very simple yet classy. They have Nail polishes, Lipsticks, Eyeshadows, Foundation, Concealer (in 5 shades), Anti-aging Serum and much more. Products coming from this brand have excellent packaging. The Nail polish has a glass body with rectangular shape and plastic black cap. It has the details of the brand, product name and shade mention on the cap. The nail polish has a classic pink color which is neither too bright nor too dull. 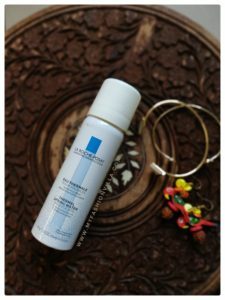 Its quantity is 9 ml and is priced at 499 Rs per Unit. Its appearance is between glossy and matte. This is the first product of Paese Cosmetics that I am using. I have used this nail paint several times, and I am ready to put my words about it. It has really firm packaging that prevents any leakage or spilling. The color- Classic Pink is favorite of almost all the females. About the texture, well it is very unique and surprising. It has a sand-velvet finish which is not at all rough, but very attractive. The application is quite smooth and it has an opaque appearance. While applying the nail polish, you might find the big rectangular cap tough to hold and use. The brush is of appropriate length and thickness. The polish glides smoothly on the nails, creating a velvety texture. For best finish, try applying two coats. It has a really good fragrance which is not too strong. The nail polish is long lasting, it lasts for about 2 weeks without any area coming off. 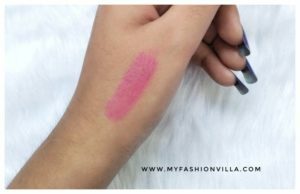 It is really great shade for summer and monsoon and would go with most of your outfits. It suits both long and short nails. You can even try nail art designs on this nail polish. Optimum quantity, i.e. 9 ml. The cap is quite big and makes it tough to apply precisely. Might find little pricey, i.e. 499 Rs per unit. All over, my experience with Paese Nail polish was pretty Good, because it gave an incredibly unique texture and is quite long lasting. You won’t at all need any glossy or matte top coat. If you too love the various textures in nail paints or long-lasting ones, then you must try this nail polish. Let us know about your views for this product in the comment section below! We are going to review a few more products from an amazing range of Paese Cosmetics. So, stay tuned to myfashionvilla for upcoming posts!